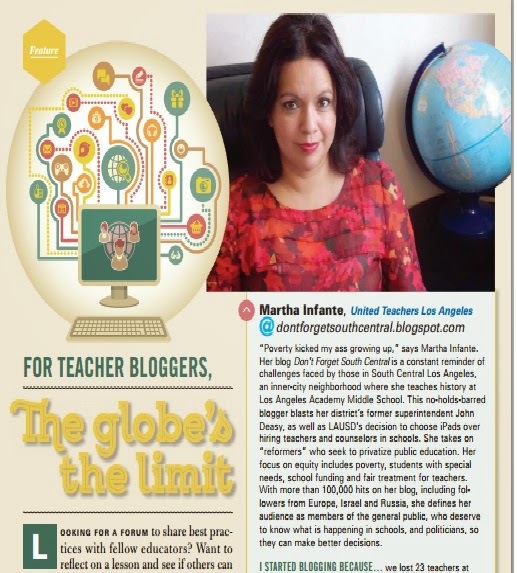 There's a write up about teacher bloggers in the latest CTA issue. This was one of the featured blogs! It's a bittersweet feeling. This blog was created in 2009 when our school was decimated by budget cuts and layoffs. Six years later the economy is finally recovering, but nothing is in place to make sure it never happens again. Who tanked our economy? Why were the most vulnerable of our population the ones to bear the brunt of the recession? Why are the majority of public school students in poverty? 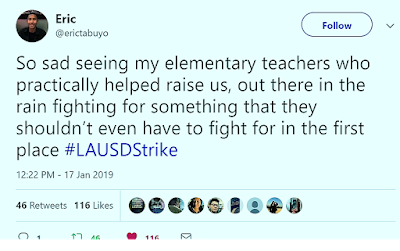 I'm really glad that CTA featured this blog and that the issues of students from poverty (and the teachers who teach them) are getting attention. This blog has led me to connect with some amazing educators and leaders from across the nation, especially those who tweet about #educolor on Twitter.